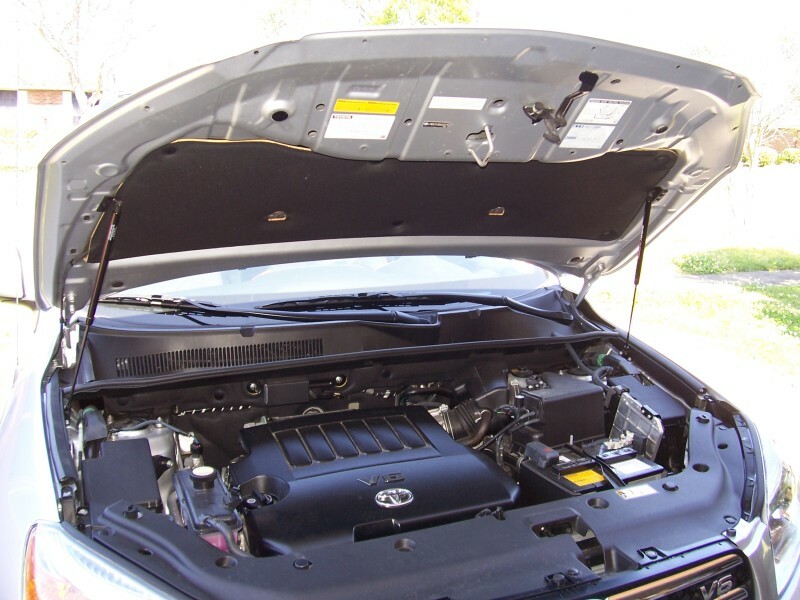 Toyota RAV4 Forums > RAV4.3 Third Generation (2006-2012 Models) > 4.3 General > Installed QuickLIFT hood struts--No more hood prop! Installed QuickLIFT hood struts--No more hood prop! Last edited by JuneBug; 09-23-2014 at 05:48 PM. I installed a set in our 09 last month. It was a bit of a challenge when I dropped one of the self tapping screws down behind the fender plastic . Took longer to get that out than to do the job. I meant to send them a email and ask if they could add an extra screw and rivet in the kits, just for dummies like me. I cheated with the weatherstripping clips, just hooked the rubber on one side and stretched it over the other end of the clip. It only took seconds to reinstall rubber. 2012 Rav4 Base Black Forest Pearl New 02/12 sold ? oooh, where did you get them? How much were they? How difficult was the install? OK, you peaked my interest now! Where you get them? Re: Installed QuickLIFT hood struts--No more hood prop! What are thoses big ruber strips for the hood fluter? I installed a set in our 09 last month. It was a bit of a challenge when I dropped one of the self tapping screws down behind the fender plastic. Did you find it hard to drill those back holes on the fender brackets? It felt like I was going through 3 tough layers of steel. The front holes were much easier. I got the basic kit for $69.95 and painted the brackets satin black. To install you need a tape measure, sharpie, utility knife, center punch, drill with #11 and 5/32" drill bits, Pop rivet gun, and a ratchet with a 5/16 socket. You have to measure and drill 10 holes, remove and trim the weatherstripping, install the hood brackets with 6 pop rivets and the fender brackets with 4 self-tapping bolts. Re-install the weatherstripping, then just snap the struts onto the brackets and remove the old hood prop. Keep an old towel or cloth on the fender while you're working, and put tape on the drill bits so they don't go too deep. If you take your time and be careful, you can knock it out in an hour or so. There is a piece of weatherstripping on each side of the hood where it meets the fenders. You have to remove these and trim them where the bracket ball sticks out. I have never had hood flutter--if you don't have this weatherstripping on yours, that could be the problem.